Rahul has also qualified to be a member of Mensa club - the largest and oldest high IQ society in the world. Rahul won the first round of 'Child Genius', a show broadcast by Channel 4 in UK. London: A 12-year-old of Indian-origin won the first round of the latest series of 'Child Genius', a show broadcast by Channel 4. 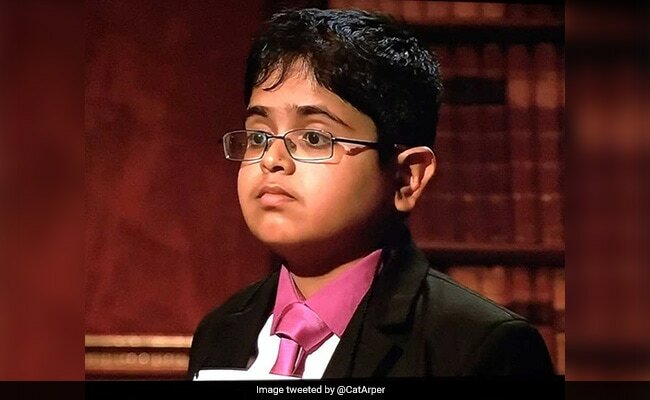 Rahul, who has an IQ of 162, which is believed to be higher than the likes of Albert Einstein and Stephen Hawking, got all 14 of his questions correct in the first round of the latest series of the show broadcast by Channel 4. However, as neither scientist is recorded as having taken an IQ test, the scores are only estimates. Rahul, whose surname is not being revealed, has also qualified to be a member of Mensa club - the largest and oldest high IQ society in the world. On the TV show, 20 contestants aged eight to 12 will be whittled down to one winner over the course of a week. Rahul achieved full marks in a spelling test, correctly reciting the letters in words like garrulous, accouchement, and hyponatraemia (low level of sodium in the blood). In a timed memory round, he answered 14 questions out of 15 correctly, but did not have time to answer the final question. "I always want to do the best, and I'll do that no matter what the cost. I think I'm a genius. I'm good at mental maths, general knowledge and I find it quite easy to memorise stuff," said Rahul, who cites his favourite language as Latin. "Most kids want immediate gratification but I also want long-term gratification. If I could play maybe my Xbox now, I'll be really happy now, but I might be sad later on because I haven't revised for my test," he said. Rahul's IT manager father Minesh and mother Komal said their son was in the game to win and their role was to encourage him.